Relocating to a new house is stressful enough without having to worry about the logistics of an entire move. So when it comes to the heavy-lifting (literally), leave it to the professionals — professional movers, that is. Experienced West Hartford, CT moving companies consist of expert movers and packers who can efficiently pack, move and assemble your West Hartford belongings to ensure that you get off to a good start in your new home! For more than 100 years, MEYER Household Moving has established an unmatched reputation as the professionals in local, long distance, and international moves. Whether your move takes you across town or the globe, MEYER Household Movers has the experience and expertise to make your move go smoothly. Father & Son Moving & Storage has been moving families since 1908. 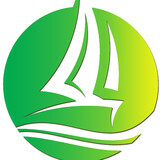 Our goal is to provide you with the quality moving and storage services that you deserve and demand. Our knowledgeable team is always available to answer questions and create the perfectly customized moving package that meets your needs. Our storage facilities are clean, sanitized, and secured by alarm. 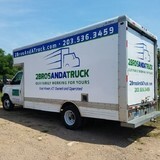 We offer storage options where we pack and store all of your items for you. 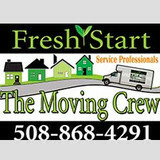 Connecticut's Finest Movers provide the most professional Local Moving Services & Moving Labor Service in New Haven, CT & surrounding areas. Call: 203-623-4183. Liberty Movers, Inc. is a full service residential and commercial moving and storage company which has been serving the greater Worcester area since 1920. We are attentive and careful with all property because we know how important it is to you.